ORLANDO, Fla. – Neocontrol, a home automation company with operations in more than 10 countries and North American headquarters at the UCF Business Incubator in the Central Florida Research Park, has been accepted as a full member of the Z-Wave Alliance, an organization of manufacturers, developers and service providers who use Z-Wave, the world standard in wireless technology. 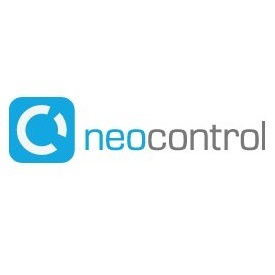 Neocontrol develops, manufactures and markets a full range of innovative, custom wireless home automation products and systems that incorporate the trusted standard Z-Wave technology of low power radio waves that can be added to anything electronic. The Alliance was established in 2005 by a group of leading home control product manufacturers and currently has 450 international member companies that use the Z-Wave technology in their products and services. The membership covers 1,700 products enabled by Z-Wave that are used in “smart home” and business applications which are all interoperable and compatible. “We are excited to be a member of this wireless technology ecosystem along with firms like ADT, Bosch, Honeywell and Panasonic, to help promote consumer awareness and recognition of the Z-Wave technology. We will also greatly benefit from the many services and opportunities the Alliance offers,” said Andre Comitre, chief operating officer of Neocontrol. Comitre said Neocontrol achieved its successful market presence in South America based on the innovative design, environmental sustainability and the wireless, easy-to-integrate nature of its products. Neocontrol is being assisted with transition to the North American market by the UCF Business Incubator’s innovative Soft Landing program, which provides a suite of services and resources to help ease the transition into a new market, reduce risks and costs while linking them to the business community. Founded in 2004 in Brazil, more than 6,800 homes throughout the world are automated with Neocontrol systems. The company has more than 220 resellers in South American and Asia and recently established a distributorship in Canada. The Z-Wave Alliance offers a wide array of services for manufacturers, developers, service providers and integrators who are interested in being part of the Z-Wave control revolution. Three different levels of membership participation provide access to the broad knowledge bank of Z-Wave technology, as well as mindshare with the companies that are driving the home controls.